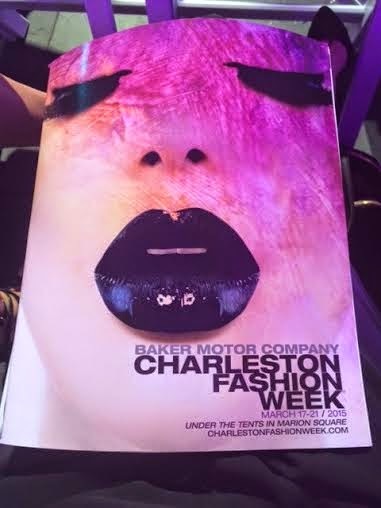 Charleston Fashion Week came to a close this past Sunday. 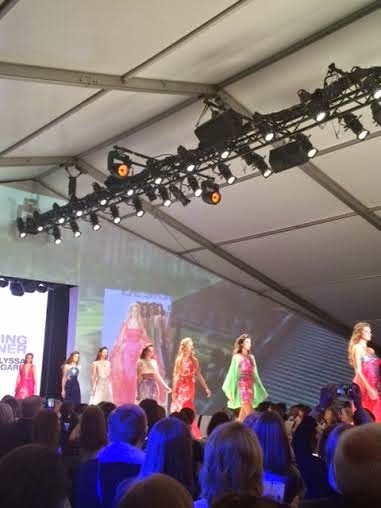 I'm so glad that I was able to attend one of the weeknight runway shoes. 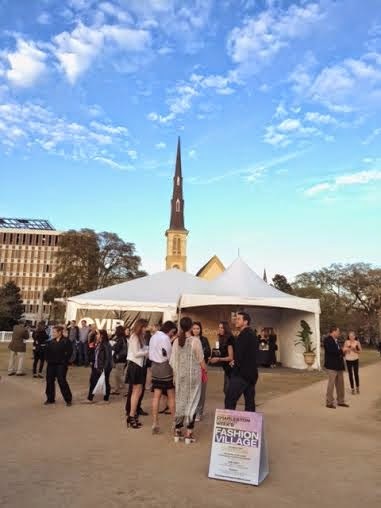 Wednesday evening my girlfriend Megan and I headed downtown to check out the fashion scene at Marion Square. 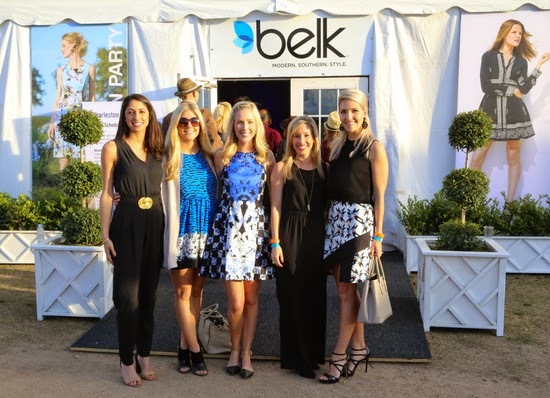 We browsed around and mingled in the Fashion Village some before the show. There were a countless number of cute outfits spotted off the runway and then there were a few interesting ones. But hey, that's fashion for ya. The stranger the better, as long as you feel comfortable wearing it. Fashion is what you make of it. Lately I have been trying to step out of my comfort zone a little with my wardrobe purchases. I may have worn black, however I did go out on a limb and buy a jumpsuit. I've wanted one for a while now and this seemed like the perfect occasion to go for it. (Although in this photo it looks like a dress.) I will definitely wear it again, however I am still on the search for the perfect accessories to go with it, preferable a good belt. 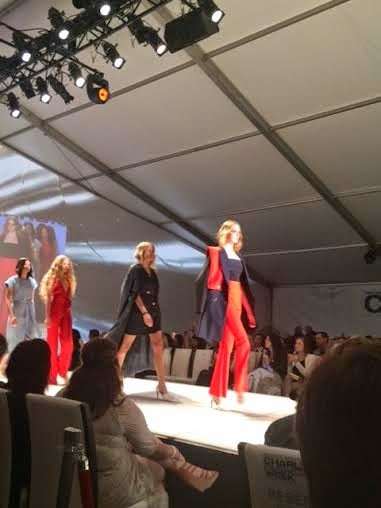 These photos aren't the best given the lighting and where we were sitting, but nonetheless, here are few of my favorite looks from the evening. 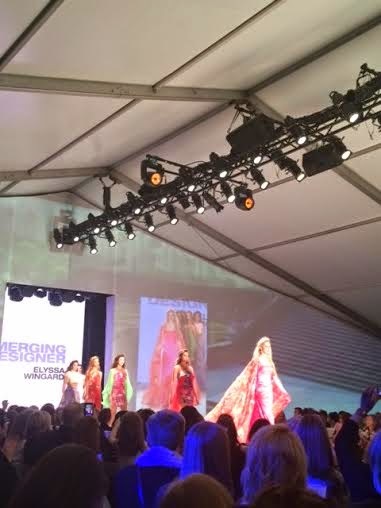 Elyssa Wingard's resort collection inspired by the Palace of Versailles was stunning! From the vibrant colors to the soft flowing material, I wanted one of each. The Harbison Collection was an eye catcher as well. I loved the unique and luxurious structured look of these pieces. There were also some fun looks in this collection above by Julie Le & Sean Mueller. 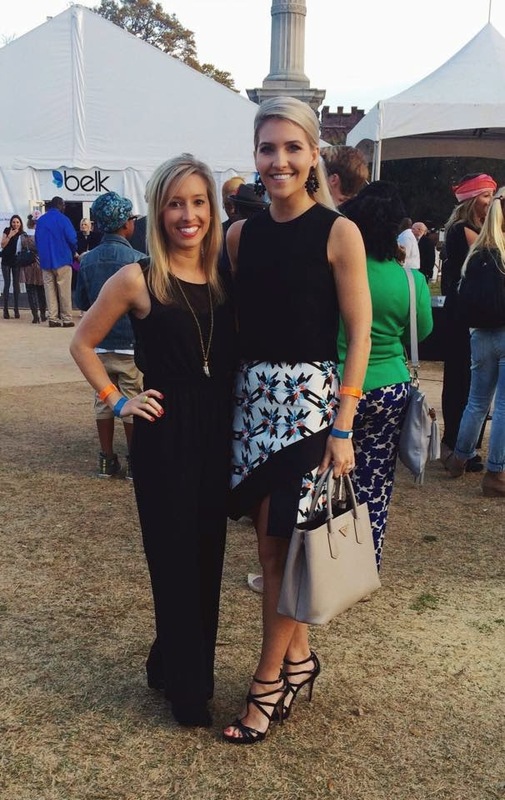 Another one of my top favorite looks (mentioned in Friday's post) came from Mosaic, a upscale boutique in Lake City, SC. Unfortunately I don't have any close up photos, but you can find several of their amazing pieces on their website. Until next year, Fashion Week! Oh, and make sure to check back tomorrow as I will be sharing some of my favorite jumpsuit picks that I came across during the search for my own!